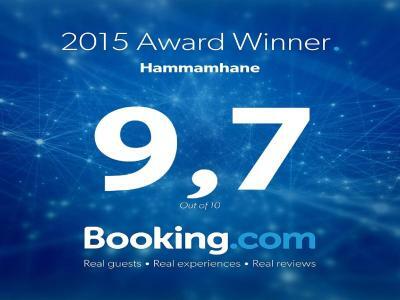 Lock in a great price for Hammamhane – rated 9.6 by recent guests! Very friendly and attentive personnel. Always ready to support: info about hte city, planning of the small journey, materials for the dishwashing machine, etc... the apartment is very cozy and comfortable. A dishwashing machine + laundry machine exists in the room. The room is cleaned every day, the bed is changed every 2 days. The district is extremely nice and interesting. Great property and staff. Super helpful. The hotel was great - for the purposes of a short weekend away in Istanbul, being in the historical peninsula however may have been better! But that is just a preference in hindsight. The hotel itself was fantastic! The staff was so helpful and kind. 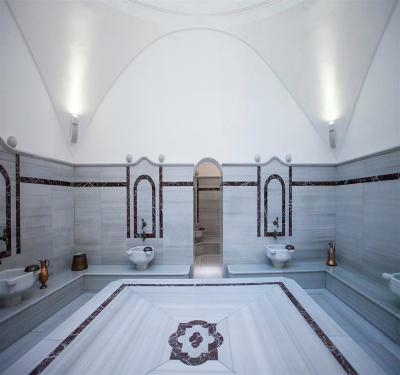 The Turkish bath next door was also nice. 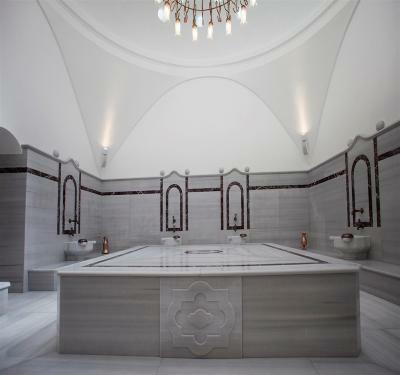 Definitely recommend using the hamam next door for an exceptional Turkish bath! The room style is amazing, the staff was friendly. 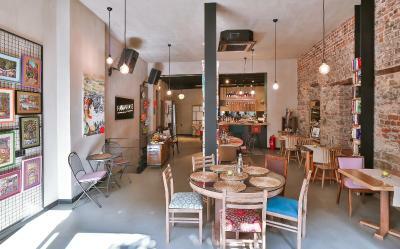 From the moment we walked in the door the staff were warm, welcoming, efficient and so genuine. We were greeted with tea and informed that happy hour would be started shortly. Met lovely people while we stayed. Experienced the excellent Hammam next door where the staff were equally kind and professional. We are already trying to figure out how to go back! Perfect service! Good accommodation! 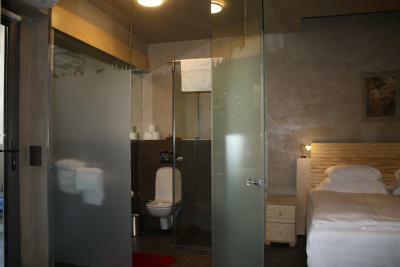 Clean and comfort room! 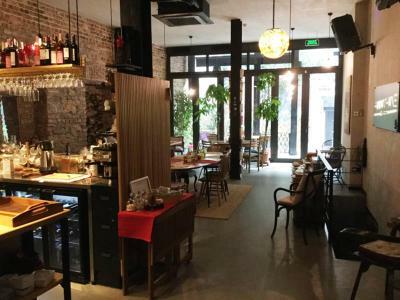 Very nice and cute restaurant with pleasant atmosphere! 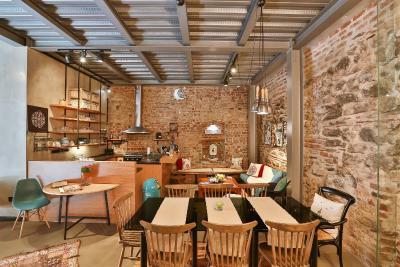 Set in a renovated building, Hammamhane is just 1,800 feet away from the lively Istiklal Avenue. 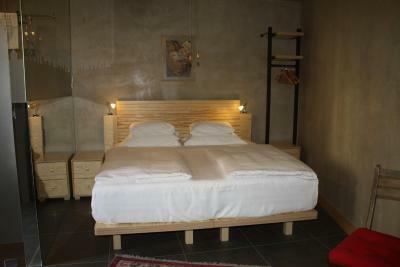 The property has spacious suites with a private kitchen and free WiFi. 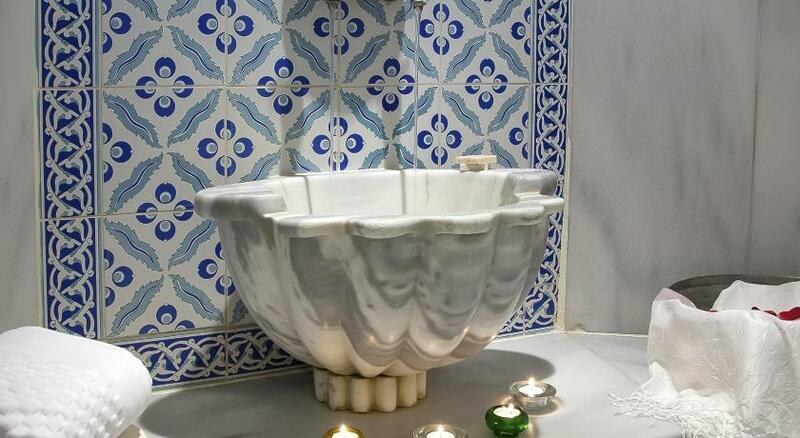 A historical onsite Turkish Bath called Cukurcuma Hammam is welcoming the guests. Featuring cork parquet floors and high ceilings, the suites at the Hammamhane are tastefully decorated with modern furnishings. Each unit includes air conditioning, floor heating system and a flat-screen TV. The kitchens come equipped with kitchenware. A washing machine is available. There is also a terrace in some suites. 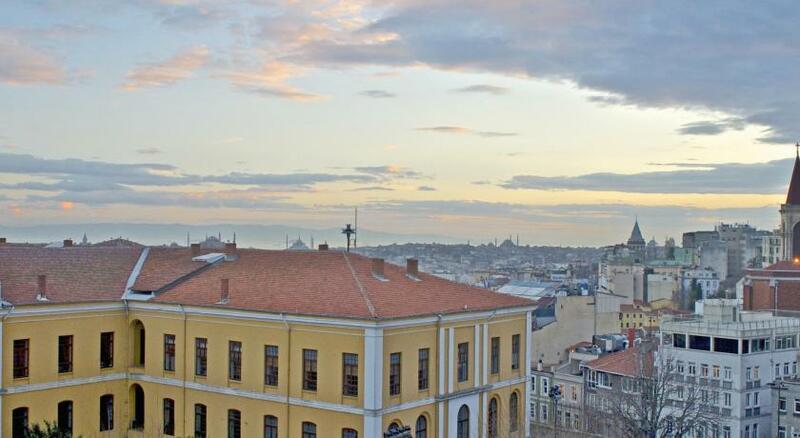 In the heart of Cukurcuma, Hammamhane is witihin walking distance to the art galleries, design stores, antique shops, chic restaurants and cafés. 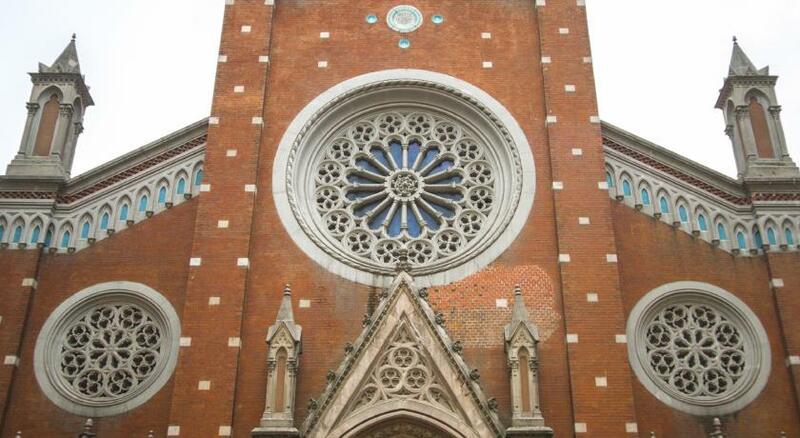 A variety of restaurants ranging from fast food to local and international dining are within walking distance. 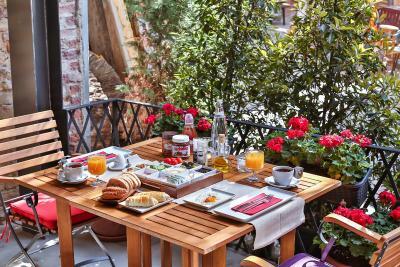 Daily breakfast is served in traditional style. Based on Orhan Pamuk's famous novel, the Museum of Innocence is 550 feet from the property and the iconic Galata Tower is 0.7 mi away. 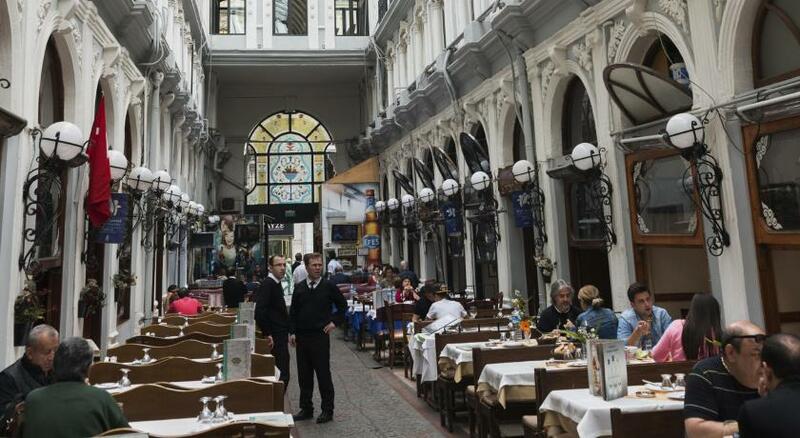 Tophane is a 10-minute walk, and Cihangir which houses many cafés and restaurants is 5 minutes walk. 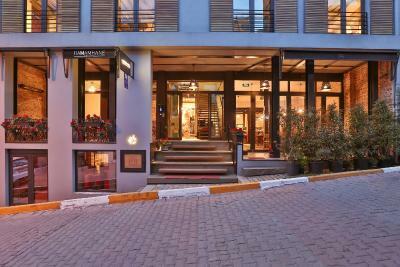 Taksim Square is a 10-minute walk away and Istanbul Airport is within 33 mi. 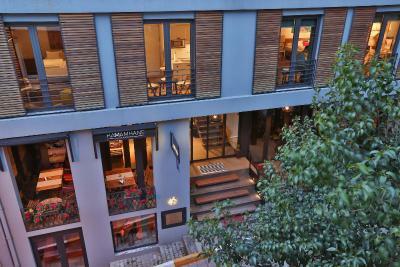 When would you like to stay at Hammamhane? This suite with a bedroom, a living room and a fully equipped kitchenette is air-conditioned and has cork floor heating system. It has an LCD full HD TV with satellite channels, smart TV hubs with internet access and USB connection. 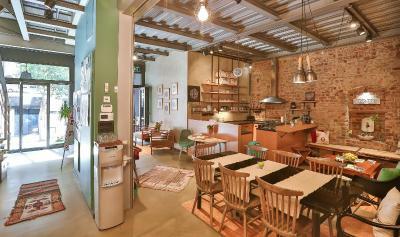 A bottle of water, Cafissimo coffee machine, and tea making facilities are provided. 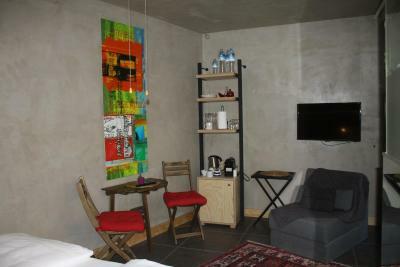 This air-conditioned 98 ft² studio with underfloor heating system is fitted with a smart LCD TV with satellite channels. USB connection is also available on the smart TV. A bottle of water, coffee machine and tea facilities are provided. 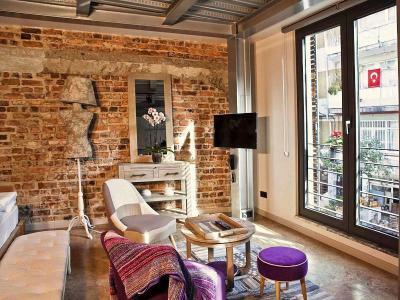 This stylish furnished room in annex building offers soundproofing and cable TV with USB connection. 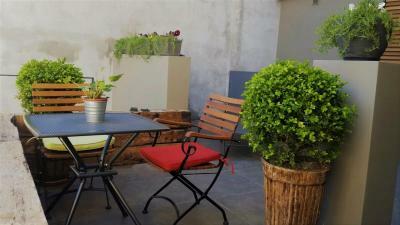 You can enjoy a cup of coffee in the terrace. Hammamhane is designed to contrast the old and the new and it is furnished with contemporary elements . 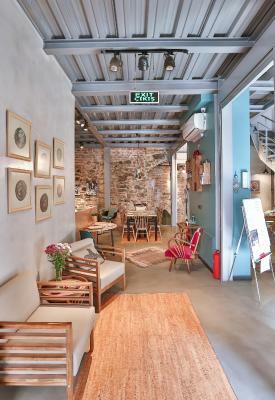 The lovely 13 flats in the new building are organized to cater every need of its guests. You will find 3 suites plus 10 separate homely studio apartments having all the household goods and machinery and also you will find a warmly decorated breakfast and lounge area. 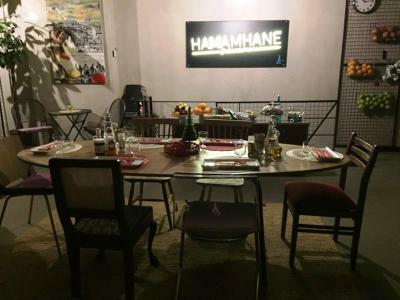 House Rules Hammamhane takes special requests – add in the next step! Hammamhane accepts these cards and reserves the right to temporarily hold an amount prior to arrival. Everything was excellent! Totally recommendable! Minor comments: - There is an ash-pot in the garden just in front of the room's window: sometimes the smoke entered the room. - The room is nearby the backdoor entrance when the intercom reacts - in the room, there is a creepy sound (like a TV without a signal). - There is no place or smth to dry the washed clothes. 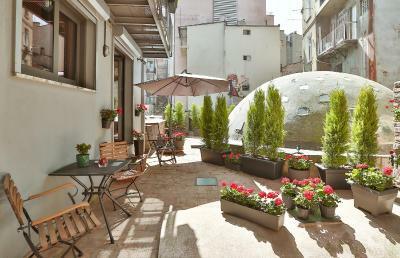 - I negotiated a room with windows looking to the street and got a room with the yard-garden windows. Great room, very clean. Nice staff, are willing to help you with anything and give you information upon arrival. Breakfast was amazing with different food every day. 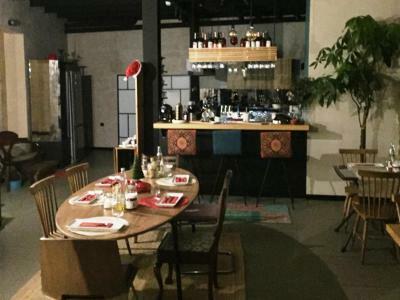 The location is also very nice (not in the 'tourist center') surrounded with cool hip restaurants / bars. If you want to go to the touristic attractions, tram 1 is only 5 minute walk away. I would reccomand this hotel to anyone. 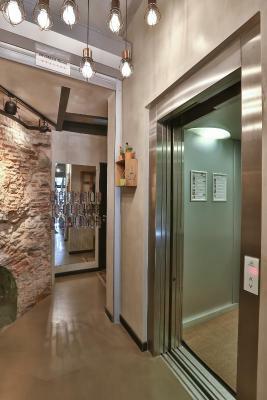 A beautifully designed boutique hotel with wonderful staff in a great location. 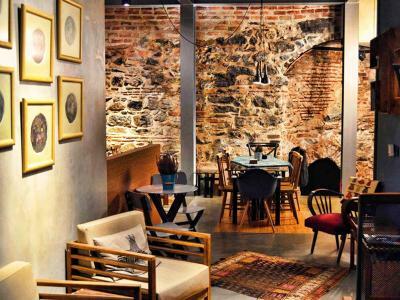 The Hammamhane is a great base to explore istanbul. Staff was exceptionally helpful. Helped us ordering food upon arriving at 2 in the morning after a long flight. The owner provided us with all information in details about directions to main attractions, showed us the neighbourhood, gave us a transport card. On the day we checked out, the owner checked the traffic condition to the airport before ordering a taxi for us to make sure we’re not late for our flight. 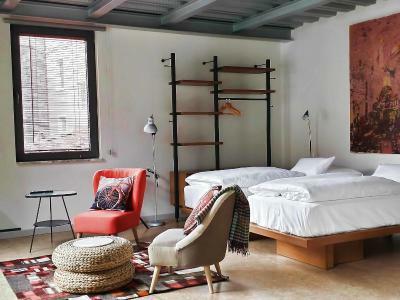 Studio room is big enough for two, nice modern design in a nice neighbourhood. Great facilities. Lovely staff, happy than expected. The staff was incredibly helpful and polite and the hotel is more like a collection of very nice self-contained and serviced studio flats. Ours had a little balcony on which we'd have breakfast or lunch sometimes. We had a very late arrival flight and checked in around 2am, but were greeted by the extremely helpful and pleasant Bilal. Bilal showed us around the property, settled us in and was always offering to help us throughout our stay with everything from sightseeing tips, to breakfast, to anything we might need in our room, to just having a chat or arranging an airport taxi for us on the last day. 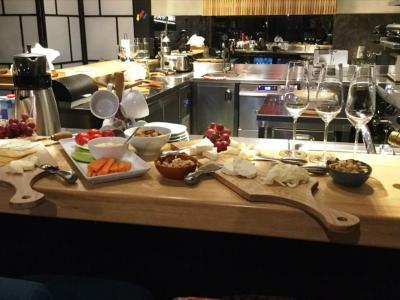 We were (unfortunately) frequently late for breakfast, but the kitchen staff always volunteered to prepare it for us no matter the time and allowed us to take it back to our room. Everything was SPARKLING clean. The room itself was spacious with a nice small kitchen that has everything you need except an oven (but who bakes on their holidays?). The bathroom was quite nice and is built so that the shower cabin has two entrances (from the room itself and through the bathroom), so that the toilet and the shower can be separately used by two people. 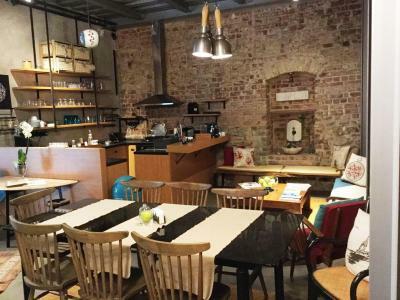 The hotel is a 5-10 minute walk from the main commercial street, Istiklal, and in the heart of a picturesque and somewhat bohemian area with lots of nice restaurants, cafes, bakeries and small corner shops. 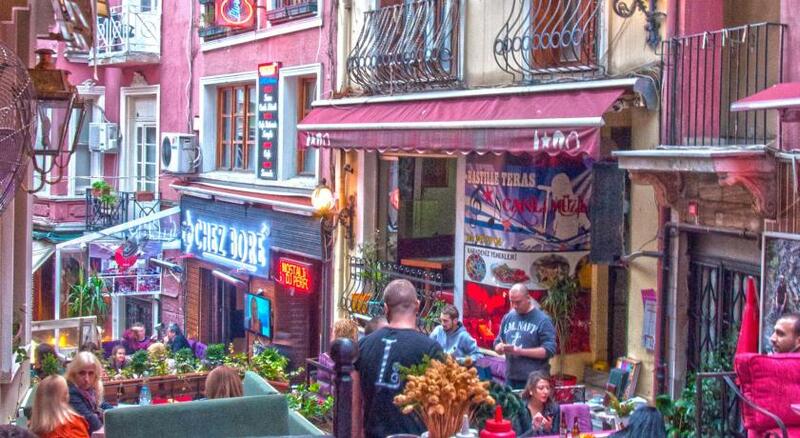 Karakoy, with lots of trendy bars, restaurants and cafes, is only about a 10 minute walk away. 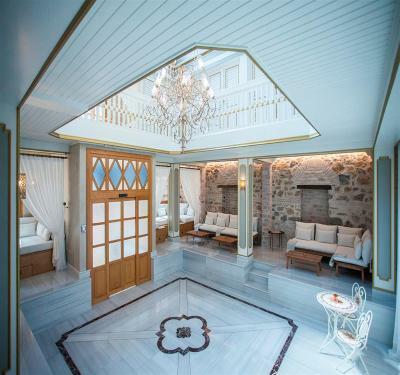 To top it all off, the hotel has a beautiful Turkish bathhouse (a hammam) attached to it that was renovated in the last six months and hotel guests get a discount. It couldn't be regarded as a negative point, but the breakfast will become far better with more pastries and meat options. I love the hotel very much! This is the best hotel I have ever stay in, I will totally come back.